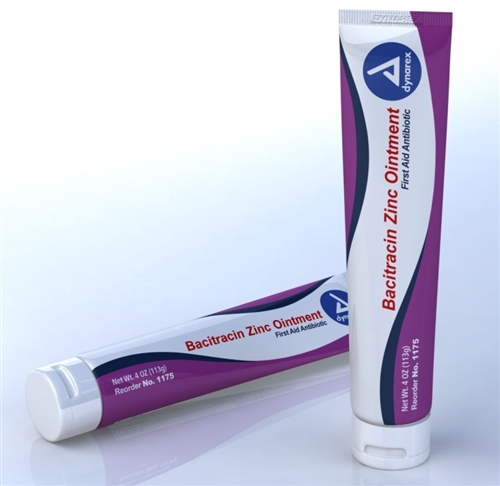 Bacitracin Zinc Ointment from Dynarex is a first aid ointment that helps prevent infection in minor cuts, scrapes and burns. It is an antibiotic ointment that prevents bacterial infections. If will not work for virus or fungus infections. For external use only - It is for use on skin only. Avoid getting in eyes, nose or mouth. Follow directions for use on package. If you are uncertain about any of the information, ask your doctor or pharmacist.